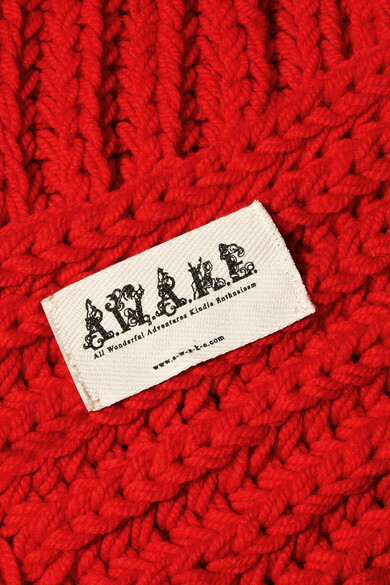 A.W.A.K.E. 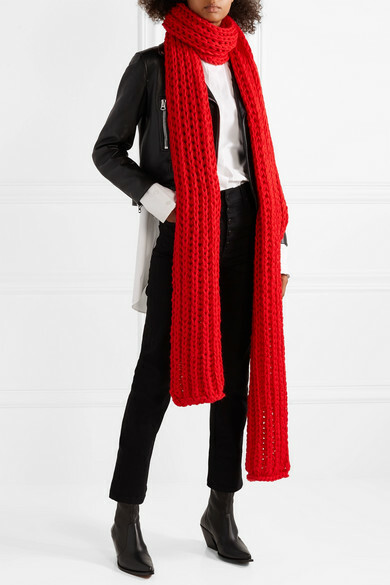 's scarf has a nearly knee-grazing length - perfect for looping around your neck multiple times on especially chilly days. 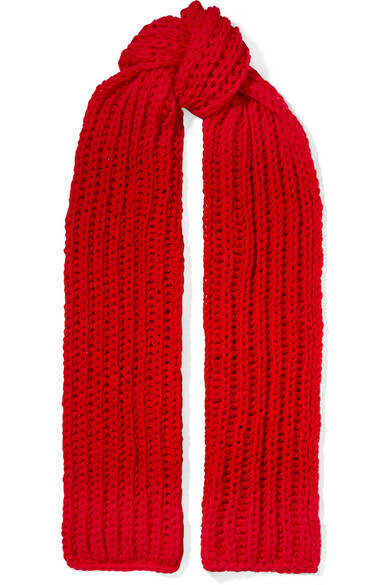 It's knitted from naturally insulating wool and designed in a bold red hue that will add a pop of color to any outfit. Shown here with: Maison Margiela Shirt, Acne Studios Jacket, Joseph Jeans, Givenchy Sock boots.